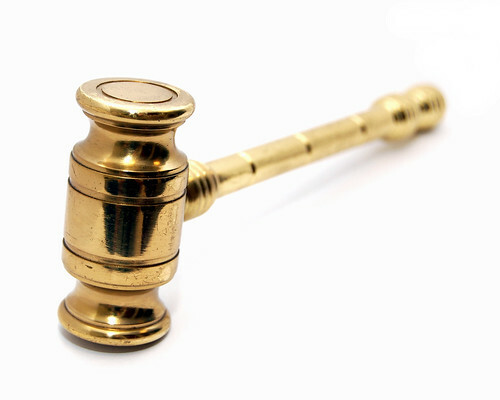 When the auctioneer's gavel (digital or real) comes down, you might be the new owner of a car. Image from Flickr. If you’re in the market for a used car, then you’ve probably at least thought about going to a car auction. Car auctions can get you great deals, but they can also be intimidating. So what is the best way to get into a car auction and get a great deal on a used car? A car auction is, at the core, very similar to any other auction. A vehicle is offered to bidders, and the highest bidder gets the car. Most often, a car auction sells vehicles in “as-is” condition, with no implied or stated warranties. The cars usually offered at auction fall into one of three categories. First are private owners or dealerships offering their cars on auction sites such as eBay. Second are the surplus vehicles — cars that state or federal government agencies have replaced and no longer need. Third are impound or repo cars — vehicles that have been impounded or repossessed and are being sold to pay off the creditors. There are two major types of car auctions – in person and online. An in-person car auction has many benefits. Usually, a car auction will open for “viewing” an hour or two before the auction begins, and you will have a chance to actually take a close look at the cars available for bidding. Check your local newspaper and Craigslist for auction companies and to find out when and where the auction is. You will need to register for a bidding number and have your car financing lined up. If you want to, have a mobile AutoCheck or Carfax app on your phone can give you a quick report on the car. If you bid on and win a car, you will be expected to pay for it right then and there. Usually, you’ll get a copy of the title when you pay for the car, and licensing will be your responsibility. You will also need to take the car off the lot in a short period of time – usually 2 to 24 hours after purchasing the car. After you have won, paid for, and taken your new car home, there are a few things you should do right away. Take your new vehicle into a mechanic you trust for a full once-over. You should get the oil and fluids all changed. Don’t forget to insure and license the vehicle as soon as possible as well. If i change my car on a car that i won, what is usually the fine? Ota, what do you mean “change my car on a car that I won”? what happens if you bid on a car. buy it, and then take it to the mechanic? They find out that it needs a new transmission. then what?